Did you know that lightning is considered one of the greatest threats to trees? Every year, lightning strikes thousands of trees. 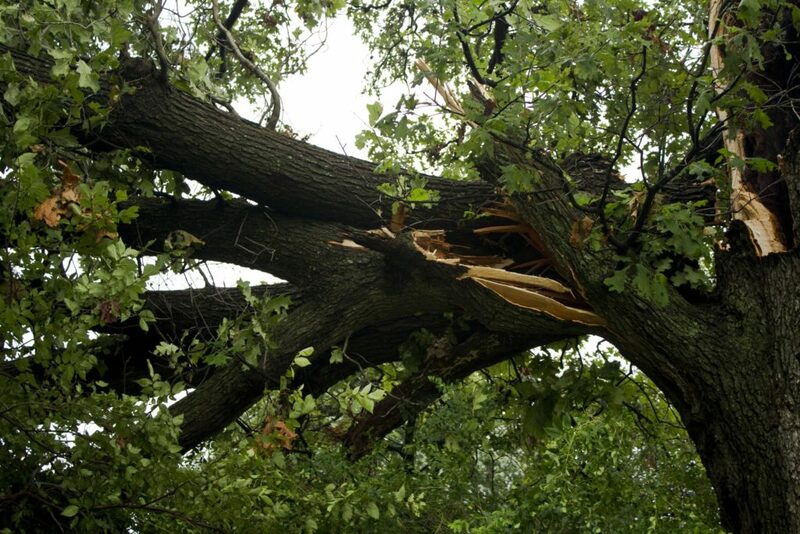 During the spring and summer seasons, lightning strikes become more prevalent, and while not all trees attract lightning, it is critical that you learn how to assess lightning damage just in case your tree does get hit. When lightning blasts a tree, the impact is felt instantaneously. The moment of impact turns the tree’s water into gas, causing the plant’s exterior layers to explode outwards. The explosion is usually catastrophic. In fact, 50% of trees hit by a bolt of lightning die immediately while others typically suffer extensive damage, making them vulnerable to diseases. Some of the most common tree species hit by lightning are oak, gum, maple, poplar, and pine. If you choose to hire a company that is not skilled in cutting a tree, they can do more harm than good. Many people tend to get carried away while cutting branches off their trees. When this happens, they end up topping the tree which then leads to disease and poor tree structure. There are three possible outcomes when a tree gets hit by lightning: The tree escapes damage; it suffers damage but survives with nothing but a scar; it dies. If a storm drops substantial rain before a lightning strike, that rain could soak the outside of the tree enough for the lightning to simply cascade around the tree and leave it relatively unscathed. Most of a trees’ water content is stored just under the bark. With water being a superb electrical conductor, a lightning strike can penetrate the outer layers of the tree and obliterate them. If only the outside layer is destroyed, a tree can live but will typically have a scar. 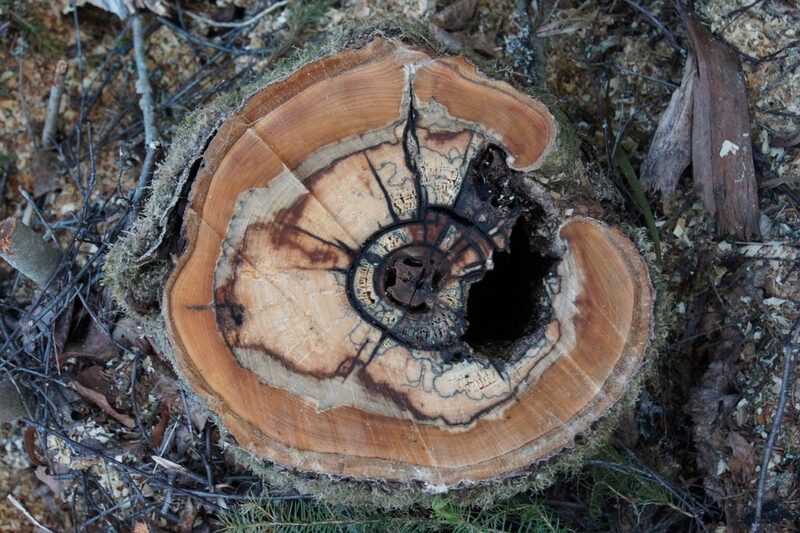 Dying trees such as those with compromised structures typically have one or more areas ravaged by disease. Since these trees store most of their water content deeper in the trunk, a lightning strike will fully penetrate the plant’s center and utterly destroy the tree. This can cause a powerful explosion, sending large and small branches flying (including splinters and huge chunks of wood), and can even split the trunk in two. Before you inspect a tree that has been hit by lightning, know that there may still be a residual electric charge around the immediate area of the blast site. Do not approach the tree immediately. Let a few minutes pass then let an Orlando Tree Service company take a look at the plant and assess the damage it received from the lightning strike. Your first step in treating a damaged tree is supplying it with plenty of water. Additionally, provide generous amounts of fertilizer to help stimulate new growth. Damaged trees that survive until spring are the most likely to recover from a lightning strike. Know though, that while scarred bark and broken branches are considered to be minor issues, you must check them from time to time and see that the damage hasn’t spread—trees that have damaged layers become more vulnerable to certain pests and diseases. Another way that you can save a hit tree is by pruning the broken branches, including any torn wood. However, a word of caution, do not do extensive pruning until a year has passed after the lightning strike. For trees that suffer extensive, irreparable damage, the only thing to do is remove them from your area especially if they are near healthy trees. Leaving them can sometimes cause numerous arboreal threats and infect your healthy trees. Consult an expert tree removal team to help you get rid of the damaged tree.